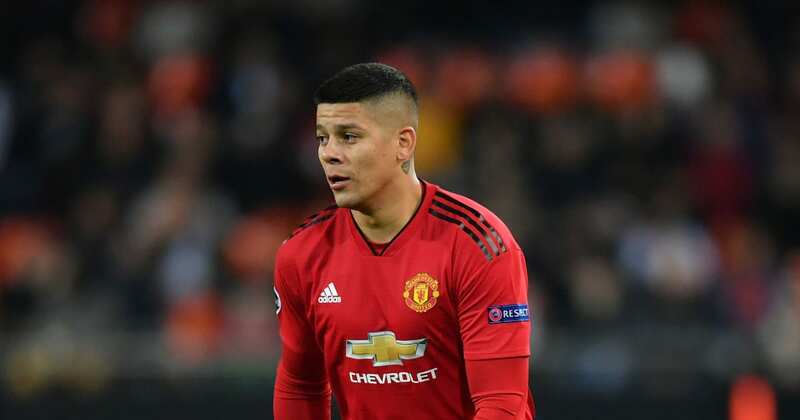 ?Manchester United defender Marcos Rojo has trained with former side Estudiantes de La Plata in Argentina this week, ahead of an expected exit from Old Trafford this summer. Rojo has been with United since moving from Sporting CP in 2014 for around €20m and has gone to make 110 appearances for the ?Premier League side, notching four goals and two assists. However, he started his career with Estudiantes, where he rose up the youth ranks to graduate to the first team in 2009, before leaving two years later to play with Spartak Moscow. And, on the day of his 29th birthday, he was back training with his old once again, after being granted special permission to do so by the ?Red Devils. The news comes as Rojo’s exit seems more and more likely this summer, as part of a transfer cull the club are seeking to make in order to rebuild the squad for the 2019/20 season. The Argentine international, who was not selected in his country’s latest squad, is contracted with United until June 2021, with the club possessing an option to extend this deal by a further year, thought considering these latest developments this seems highly unlikely.